Debenhams is one of the oldest department stores in the UK and also has shops across Ireland and Denmark. The Debenhams brand is in use by international franchises in 26 countries around the world, too. Some customers may have a Debenhams Beauty Club card, which is their loyalty programme. Others may have a Debenhams credit card, which is a personal finance service. Some customers might even have both types of Debenhams card. 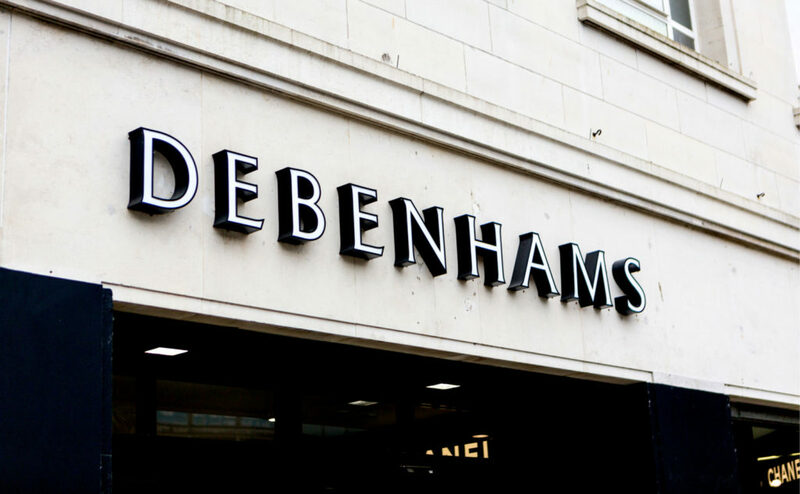 Depending on the type of Debenhams store card, this guide will show you what to do if your Debenhams card is lost or stolen. The Debenhams Beauty Card is the loyalty card for their customer rewards programme. Customers who frequently shop at Debenhams can earn points for every purchase and then redeem them for discounts on future purchases. Members of the Debenhams Beauty Club also get access to exclusive promotional offers and free gifts. You should receive monthly statements if you are a Beauty Club member. If you lose your Debenhams Beauty Card, then you’ll either have to call them to sort it out or go into a store to do it yourself. The fastest way to do this is to log into your Beauty Club account on the Debenhams website and block the card. Click on “manage account” then “report lost, stolen, or damaged” to cancel your card. You should go to a Debenhams store to pick up a new Beauty Club card, but do not register it or let the store assistant activate it. You must enter the new ID number in your online account to transfer the points from your old card to the new one. Then you can continue collecting points with the new card. Alternatively, if you are unable to log into your account or get a new card from a store, then call customer services on 0843 557 3408. Press 1 to speak to a Debenhams representative. Explain the situation with your Beauty Club card and that you need them to block the card and send you a replacement. They will tell you what they can do and what steps you will need to take to protect your account and prevent the loss of any of your rewards. If you want to redeem points or a reward before you get the new card, find out how you might be able to do this online or instore. Report any transactions you don’t recognize on your Beauty Club statement. You may be able to recover lost points or rewards, but this is not guaranteed. You will need to provide your Beauty Club account numbers (Reward ID and Points ID) and PIN. At least some of these should be in your account information, and on your monthly statement. The Debenhams credit card is provided when you sign a credit agreement with them in partnership with NewDay Ltd and Mastercard. You may have a temporary card when you first sign up, which will expire in 7 days, then you should have a physical card within 10 days. You cannot use it without calling to activate it first. Call 0844 826 8066 as soon as possible if your card goes missing, whether it is lost or stolen or you did not receive it at all. Press 3 to transfer to NewDay and discuss your account and Debenhams card. You will have to answer security questions and provide the details that you gave when you registered to prove your identity. You can then request that NewDay cancels your card and sends you a replacement Debenhams card. Go over your recent transactions to make sure that none of them is fraudulent. Debenhams should be able to recover the money from any unauthorized payments. When you call to report a lost or stolen Debenhams credit card, you can also ask for advice. Find out how you can make sure that cancellation and waiting for a replacement card does not affect your repayments. Most customers do not use the Debenhams card for cash withdrawals because of the added fees and interest. However, if you want to withdraw cash and you do not have your card, call them to find out how you can do this. Call for help with money transfers and balance transfers if you temporarily do not have a card. You can change your payment date if it helps to avoid late fees, though it may affect the interest. You can also log in online and manage your Debenhams credit card account. Contact NewDay online securely using your account if you are unable to phone them for assistance.